Real Estate Roundup: Bay Area Home-Flipping Rate in Line With U.S.
U.S. home-flipping activity rose to its highest level in two years in the first quarter, with the number of such transactions in the Bay Area only slightly lower than the national rate. In its Q1 2016 U.S. Home Flipping Report, RealtyTrac says that 6.6 percent of single-family homes and condominium sales were flips, defined as those that are resold within 12 months. That’s a gain of 20 percent from the fourth quarter of last year, which company Vice President Daren Blomquist attributed in part to low interest rates. He noted that while irresponsible flipping can artificially overheat real estate markets, most flippers today are acting rationally, with most using their own cash to fund the investment. The number of first-quarter home flips here in the Bay Area isn’t far off from the U.S. rate, accounting for 6.0 percent of sales in San Francisco; 5.7 percent in Vallejo; 5.6 percent in Santa Rosa; and 5.4 percent in San Jose. The number of flips exceeded the national average in the relatively more affordable Central Valley, accounting for 9.7 percent of transactions in Stockton and 9.0 percent in Modesto. Although Bay Area rental costs are slowing from their previous breakneck pace, San Jose has replaced Boston as the country’s No. 3 most expensive market. According to Zumper’s latest monthly report, renters in the San Jose metro area could expect to fork over $2,290 per month for a one-bedroom apartment as of June, $10 more than in New England’s largest city. Rents in San Jose were flat from May to June but up 8 percent from one year ago. Oakland isn’t far behind, tying for the nation’s No. 5 most expensive rental market, with the median $2,270 rent jumping 16 percent from June 2015. San Francisco remains the nation’s most brutal city for tenants, with $3,590 needed to rent a one-bedroom apartment. A small consolation for San Francisco apartment hunters: Prices grew by just 0.8 percent from May and 2.6 percent from one year ago. Real estate investors seeking a smart place to park their money should consider both the baby boomers and millennials when evaluating their opportunities. 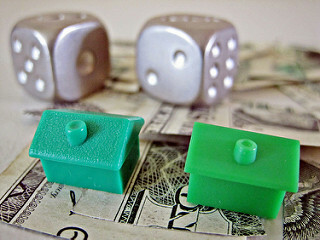 So says a study from Nreionline.com, which highlights seven investment-property types expected to perform well in 2016. As the U.S. population ages, senior housing is experiencing increased demand, while student housing yielded a 7.6 percent return in the first quarter. The rest of the selections involve commercial real estate, including suburban office parks, retail-product warehouses, strip malls, and urban storefronts. And don’t forget about boring, old self-storage units, which have enjoyed 16 percent appreciation over the past year. Builders are increasingly serving up larger homes to Americans, with the median size reaching an all-time high. Citing data from the U.S. Census Bureau, The Wall Street Journal reports that the median-sized single-family home rose to 2,467 square feet in 2015. That’s 11 percent larger than a decade ago and more than 60 bigger than 40 years ago. American homes are also including more amenities and bathrooms; last year, 96 percent of new homes built had two bathrooms, compared with 60 percent in the 1970s. More than 90 percent of 2015’s crop of new homes had air conditioning, up from about half in 1975.